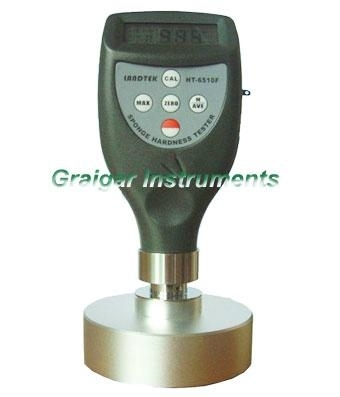 Shore Hardness Tester HT-6510F is an exclusive design for testing soft cellular materials. The large diameter presser foot and cylindrical indentor configuration allow measurement by direct application to the test specimen. Manual off at any time by depressing the power key till OFF shows on the display or Auto power off after 2 minutes from last key operation .